New Delhi: With Israeli central banker Stanley Fischer throwing his hat into the ring at the last moment, a triangular contest is now more or less certain for the top job at the International Monetary Fund (IMF). 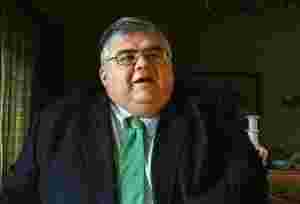 While French finance minister Christine Lagarde has received open support from European countries, the other contestant in the fray, Mexico’s central bank governor Agustin Carstens, has positioned himself as a candidate from emerging economies. How do you look at your candidature and campaign so far for the top job? What is the kind of support you have been promised? How did your meeting with Prime Minister Manmohan Singh go? Was there any assurance of support? Well, I got a very strong feeling that he is convinced about the merit-based process. We had a chance to discuss what are the issues of most importance to India in the context of the IMF and in the context of the international financial markets. We discussed, for example, capital controls and the volatility and high levels of commodity prices. I have to say that he is an outstanding economist and we had a very good discussion. At this stage, countries are not giving assurances to anybody. The only ones to have voted en bloc as a matter of fact without knowing who all the candidates are, are the Europeans. All the other countries are sort of without doubt supporting the process, that it should be merit- based. There are reports that China has struck a deal that they would support your rival Christine Lagarde if the IMF deputy managing director post goes to a Chinese. How do you look at this development? Well, I will go to China next week (current week). They are looking forward to meeting me. I will be very open and frank with them. I will pitch my candidacy to them. So far, I have not heard anything that they have made up their mind. More than anything, they are enthusiastic in receiving me, so I am going there with the best possible hopes. I will try to convince them about my candidacy. How do you look at the fact that there is disunity among the ranks of emerging economies? It has its pros and its cons. Certainly, if everybody would rally behind me because they are convinced about my merits, then that would be great. What is important is that precisely it is a merit-based process and that the executive board and the countries themselves make sure that the person they are voting can lead the institution in the best possible way. Because, if we end up with a power fight between the advanced economies versus BRICS (India, Brazil, Russia, China and South Africa) or BRICS-plus the emerging markets, we might end up beginning a political game and if we (are) beginning a political game then the institution becomes politicized. And if the institution gets politicized, its effectiveness will be hindered. So what is important is that as many candidates as possible get presented and that people evaluate them in an objective fashion and we decide the best candidate. The best candidate can be European? But we need to make sure that that is the best person. Given the fact there are disparate voices and you are not getting any clear assurances, is it affecting your morale? No, what I am doing is something out of principle. I feel I am doing the right thing. I feel comfortable that I put my name forward and that my government supported me. And I am also very happy that pretty much every country that I have talked to and the countries that I have been to, they have been pleased that we had the courage to present my name. I am aware that this might take more than one iteration. I mean the front position comes for renewal every five years, but we don’t start as emerging markets giving the fight and saying in a clear and strong way, here we are, we can contribute, we have strong candidates, we will never get where we want to be. Obviously, what I want is to win, but if I do not win, hopefully this will help to organize better emerging markets and send a strong signal. Are you saying that fighting is more important than winning? I am saying that both are important. Will you withdraw your candidature if you don’t get enough support? But why should I withdraw? First of all, if I will not win, I would recognize it. Secondly, I think (if I withdraw), it would mean that I don’t believe in the process. Certainly, the process is important and can be enhanced. The process is also made by emerging markets. So if we don’t participate, we don’t take risk, we will never win. Why do you think the aspirants for the top IMF job are coming to India? Why is India suddenly so important? I think there is a larger story there. The story is that India is one of the main engines of growth. I think that India will play a much higher role in the future... India will be reference in the future. Needless to say, I think that it is very important that the IMF embraces countries like India and the IMF grows with countries like India, China, Brazil, Mexico, Indonesia, South Africa. We are under-represented and it is very important for candidates like myself in the sense that I also applaud Christine Lagarde that she is showing interest in this region. So in the future we will hear a lot of India. So it is very important that the fund supports that process and the fund gets enriched by India’s contribution. What is your broad reforms agenda for IMF? The fund needs to close two gaps. One is the representation gap and the other gap is with respect to the quota sizes. The representation gap has to do with the distribution of quotas and voice and representation in the institution. The size of the quota determines the lending capacity of the institution and I think the lending capacity of the institution has fallen behind the needs of the countries. We see now that in the case of Greece which is a relatively small country as proportion to its quota is getting all times high loans from the fund. And that is both a reflection of the new requirements in the globalized economy, but also the fact that the quotas of the countries have remained relatively small. The quotas of the countries have not increased in proportion to for example GDP growth or the growth of financial markets. So that parity needs to the re-established. The challenge that is out there is that we need to have a much better understanding of financial markets. I think that in the last few years we have seen a huge growth in financial innovations. We have seen tremendous increase in the complexity of financial transactions. But regulation and supervision have lagged behind and that has made the system crisis-prone. And what needs to happen is to realign the capacity to innovate with supervision and regulation so we can continue benefiting from financial markets without creating huge vulnerability through the back door. This is a balance that needs to be re-established and the fund can contribute tremendously in that task. How do you see the current engagement of IMF with the European countries, which are facing economic crises? Do you support a debt restructuring for Greece? Well, I think the fund is doing what it is meant to do, which is to help countries in crises. I think the approach has been adequate, the problems are big. The problems are very particular because we are not only talking about the implication of the crises of individual countries, but also the contagion effect that it can have on the rest of Europe. That is why it is such an important crises to be dealt with in an adequate fashion. Now I think that the coordination that the fund has reached with the European Union is commendable. I support it fully. Some debt restructuring might be necessary (in Greece). But it has to be a conceptualized thing in the context of whole macro-economic adjustment programme. If at the end of the day the adjustment in fiscal policies does not take place then the final situation will not be sustainable in Greece. So external support plus some form of restructuring should help Greece to take some tough decisions. As a central banker yourself, how do you see the functioning of the Reserve Bank of India (RBI)? Many analysts feel that RBI is behind the curve in fighting inflation. Well, I think that India’s central bank is an extremely good one. I have a good relationship with its governor (D. Subbarao). And I think they are doing the best they can in the face of very important external shocks—the very high commodity prices determined by a very expansionary monetary policy in the advanced economies. So it is a very tough task. I commend the way they have managed it so far. While your rival Lagarde has clearly taken the war to the social networking sites such as Facebook and Twitter, you seem to be lagging behind. Why is that? I am giving more interviews and I have published some op-eds and I am travelling and I also have a bank to run.